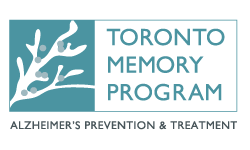 I’m raising money in support of the Alzheimer Society of Toronto by participating in the 2019 Walk for Memories. I'm one of the team captains along with Hannah Gofman for our Team Deloitte. Collectively we hope to raise over $20,000 for this very important cause. As most of you know I've been very involved with the Alzheimer Society and it is a cause close to my heart. I recently chaired our 2018 Alzheimer's Unforgettable Evening and I'm also chairing the Patron's Council of the Society. Prior to that I was a Board Member for the Alzheimer Society for 9 years and I've seen first hand the important work that the Alzheimer Society of Toronto does to help those who suffer from the disease and their caregivers. Both my parents sufferred from Alzheimers and watching them struggle was heartbreaking. Please join me in donating to this important cause.